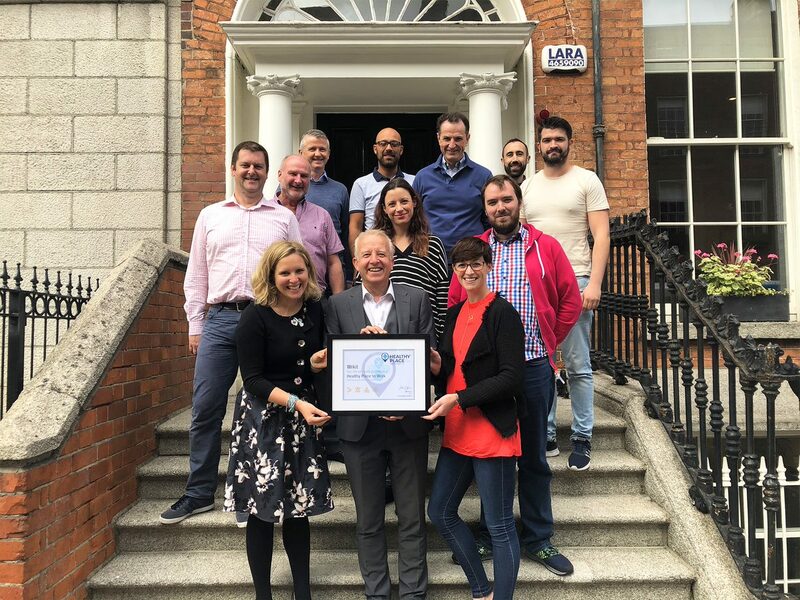 Dublin Tuesday 11th September 2018: Wrkit employee engagement and retention specialists have been officially certified as a healthy place to work. The accreditation came following their participation in the Healthy Place to Work pilot programme in December 2017. 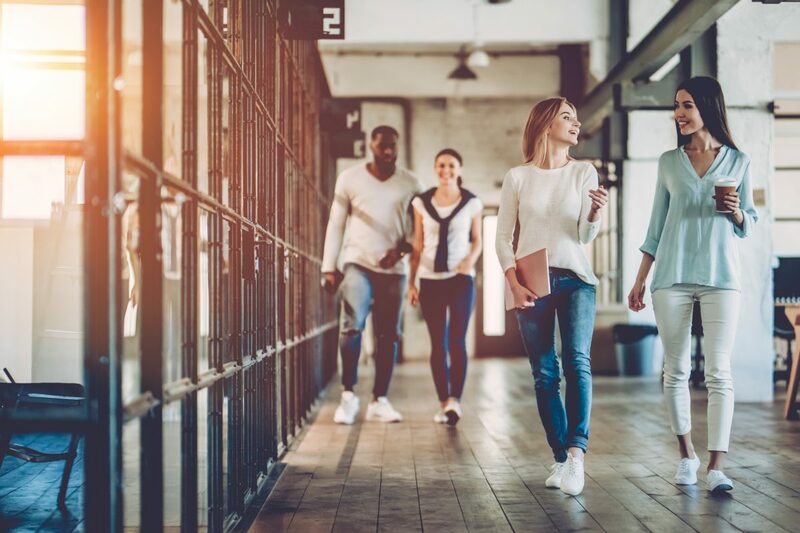 Formally launching later this year, the new global standard for healthy workplaces has a central focus of recognising organisations who are leading the way in creating healthy environments for their employees. Just five organisations from the pilot received the accreditation, among them were the IRFU and Leinster Rugby. In response to receiving the certification, Wrkit CEO Katharina Callaghan has commented, “the Wrkit mission is to cultivate healthy habits in work and life. That commitment has always been to our workforce, and to our clients. We embrace collaboration and smart working practices, always striving to empower each employee to shape their own roles and use their skills. Participating in this programme has validated our own approach, we’ve gained some new insights and will leverage these in shaping our own long-term business strategy”. As the old adage goes, a problem shared is a problem halved. It stands to reason then that making friends at work is beneficial to not only an individuals career, but their life as a whole. Friendships are important in day to day life, from talking through worries and problems, to sharing accomplishments and life events. Having strong friendships and connections can combat negative impacts of loneliness and isolation, with research showing that those with positive friendships have a lesser risk of heart disease, lower blood pressure and that they generally live longer and healthier lives. Show appreciation: no matter what position you are in your organisation, it is important to let your colleagues or supervisres know that they have done a good job by noticing their hard work, and by showing your appreciation for this work. Encourage and organise social gatherings: think outside of the odd lunch, or work drinks – organising a big event that encourages teamwork and co-operation, or that gives back to the community through volunteering, can foster friendships and connections. Examples include company picnics and hikes, or helping a local charity for a few hours. Monitor employee inclusion and belonging: It’s important that everyone feels like they are valued and belong in the organisation. Inclusion programmes ensure that everyone feels involved. Check-in regularly to ensure programmes are well communicated and participated, through an anonymous survey, or by asking every member on a team for project status updates, feedback, thoughts, etc. Update and introduce policies: feelings of loneliness can be exacerbated by stress and overwork. It would therefore be helpful to ensure that the organisation promotes a culture of health and well-being, which encourages a work-life balance. This could involve reviewing current policies regarding annual leave, sick leave, and outside-of-hours work, as well as perhaps introducing new policies which encourage employees to look after their physical and mental health in the workplace, such as providing ergonomic assessments, or free or subsidised healthy foods. Positive relationships have a profound and lasting impact on our health and happiness. 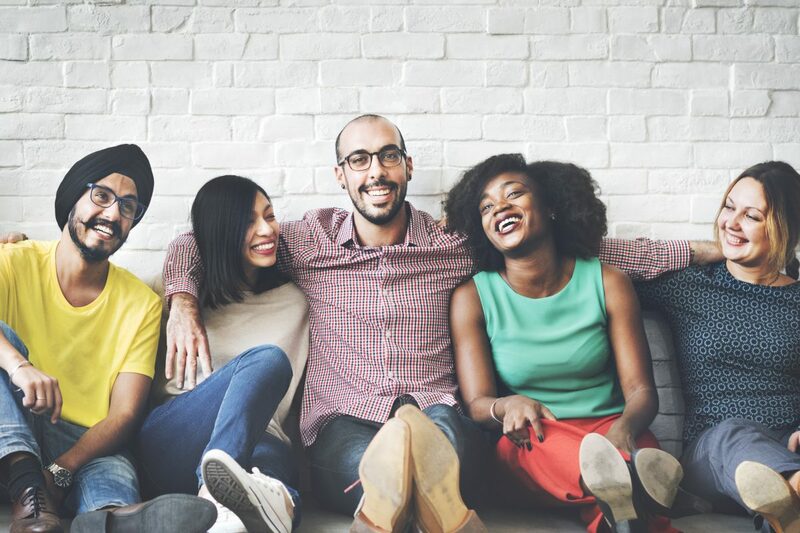 Fostering a culture of inclusion and friendship will result in greater satisfaction, productivity and brand reputation now and in the future. 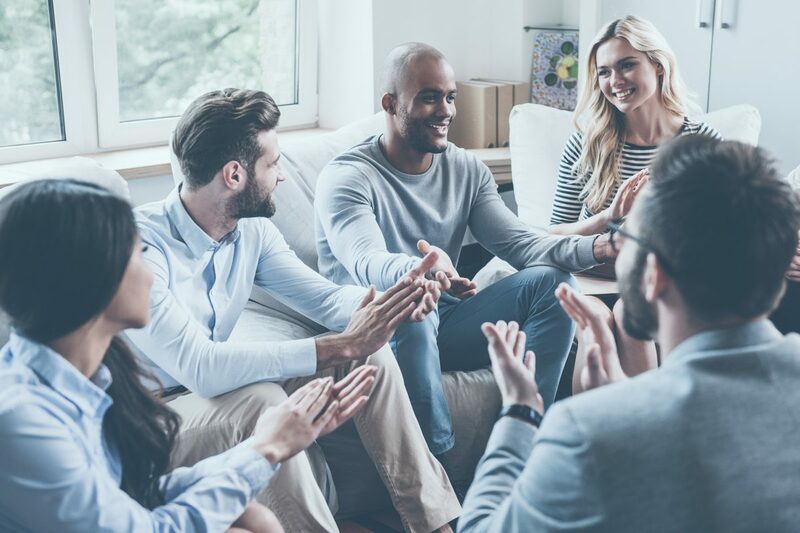 Research has found that recognition in the workplace has a huge impact on employee engagement, retention, motivation, and satisfaction, as well as on feelings of trust and belonging in the workplace. It also effects how employees view their role and their work, with those who have experienced recognition and reward feeling more appreciated and happier in the workplace, feeling prouder of their work, having stronger employee relationships, and having more favourable attitudes towards their company. It’s quite clear that workplace appreciation and gratitude can have a host of beneficial impacts for the workplace – so what are the psychological mechanisms that are in play when it comes to the positive impacts of employee recognition? And what can companies do to ensure that their workforce feels valued and recognised? 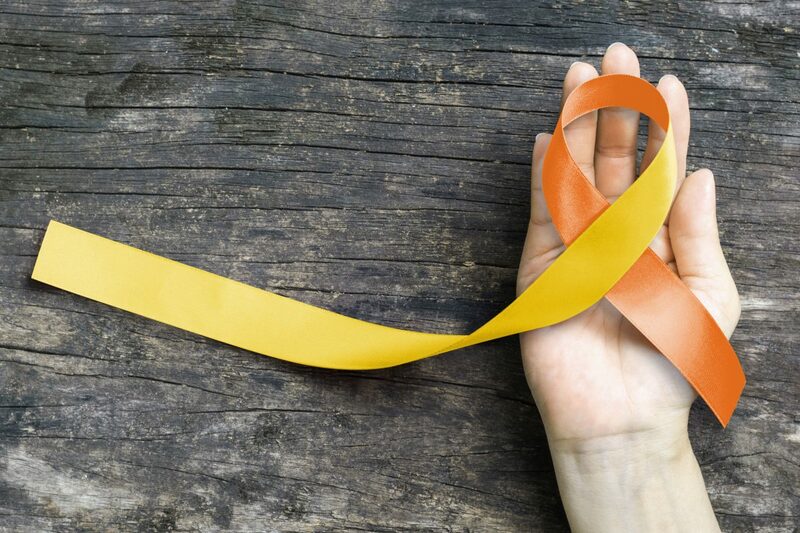 One of the most important factors involved in the beneficial impacts of workplace recognition is gratitude, and the psychological effects that gratitude has on us. When we are shown appreciation and gratitude, the hypothalamus area of the brain is activated, and the neurotransmitter dopamine is released – this neurotransmitter is often known as the “reward” neurotransmitter, as it feels good, and it results in us repeating the actions that result in its release. Therefore, when we are shown gratitude, in engages our brain in a virtuous cycle, that makes us re-engage in those behaviours which elicit gratitude and release dopamine. These dopamine boosts not only feel good, but they also improve sleep habits, increase metabolism, and reduce stress. 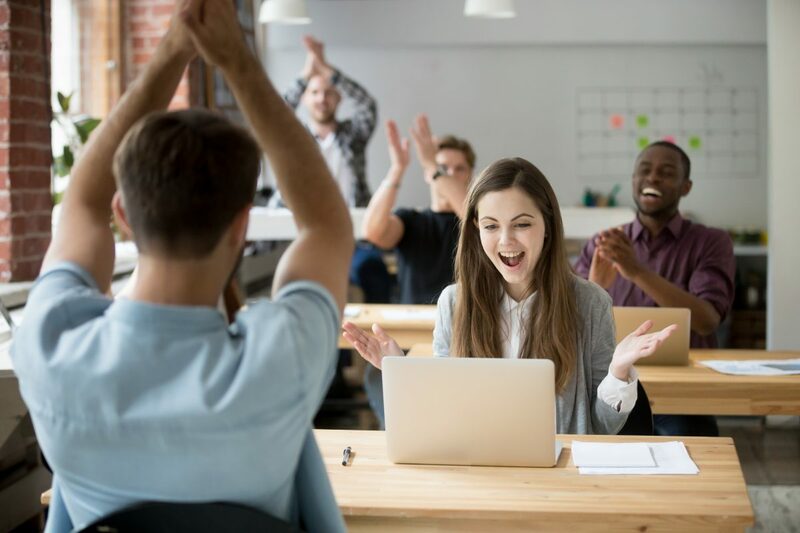 Therefore, workplace recognition is going to have a beneficial impact on employee well-being and health, which will in turn have positive knock-on effects in terms of employee engagement and motivation. Furthermore, showing recognition and appreciation to colleagues encourages more social and prosocial interaction. So when employees are shown gratitude in the workplace, they are more likely to spread their positive feelings with their peers, through altruistic and helpful acts – and as acts of kindness in the workplace have been shown to increase work performance and productivity, this is another example of the potential positive impact of implementing a culture of recognition and appreciation in an organisation. Make it personal: there are many different ways in which a employee can be rewarded for their hard work, but the most important thing is that the employee is shown gratitude for their individual contribution – there is a big difference between a company-wide email of appreciation sent to everyone involved in a project, compared to an individually-tailored card, email, note, or meeting, outlining the specific role that an individual has played in achieving a positive outcome for the organisation. Facilitate peer-to-peer recognition: acknowledgements from colleagues can be just as valued, if not more valued, than recognition from management. Peer-to-peer recognition programmes can be introduced, which encourage co-workers to demonstrate gratitude and appreciation towards one another – perhaps through one-on-one meetings, group sessions, or feedback forms. Do some research and investigation: not all of your workforce will value the same types of recognition. You can learn about what the individual preferences of your employees are through surveys and meetings, and you can therefore find out what types of incentives might motivate the different individuals in the organisation. Build recognition skills: familiarise yourself with the characteristics of effective recognition and how to apply them, by talking to HR experts, CEOs, or organisational psychologists – get to know the different types of effective rewards, and how best to implement them in the workplace. 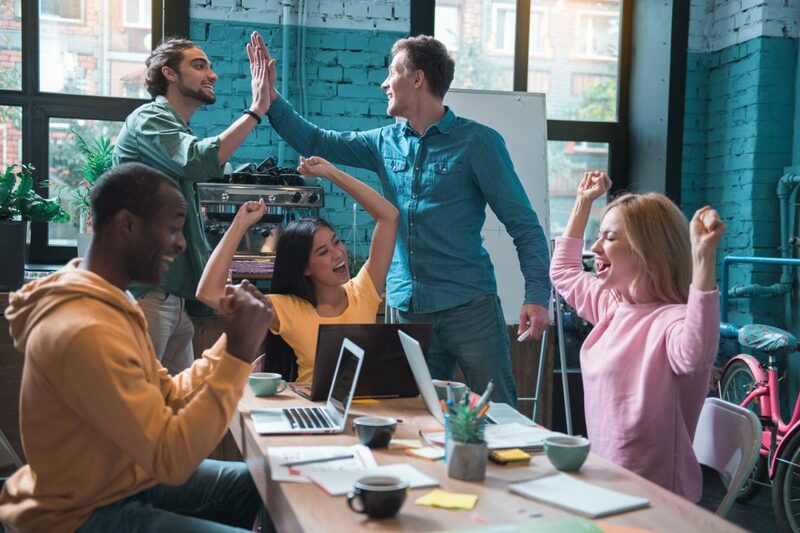 Make it fun: aside from the more standard incentives and rewards, such as gift cards and bonuses, employees will also appreciate more creative and fun methods of recognition, which don’t have to involve much expense. A rotating trophy or plaque for the best team-player, a fun day out for a whole team, or the renting of a karaoke machine/chocolate fountain are some fun examples, which will demonstrate to employees that time and consideration has gone into making sure that they are acknowledged and shown appreciation. 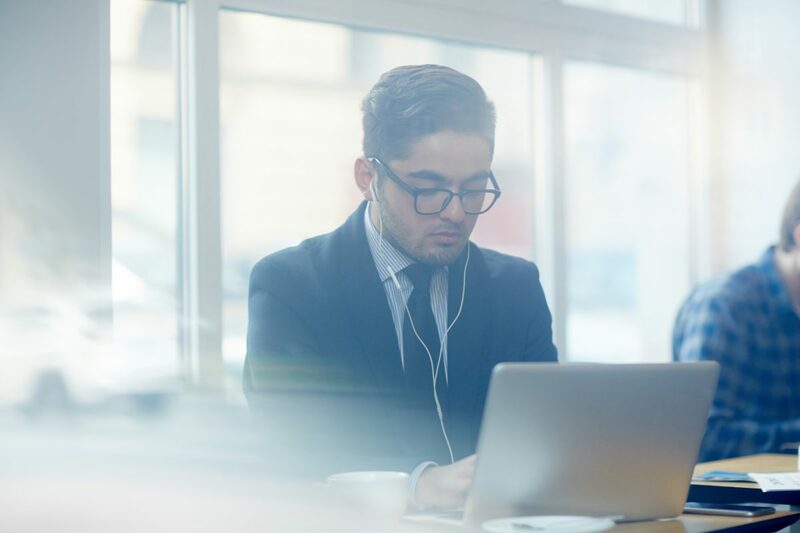 Modern life, work, and technological advances mean that many of us spend a large amount of time being sedentary every day – in fact, it is thought that the average person spends up to 12 hours a day sitting down. However, the human body is designed to move, not to be sedentary, and such physical inactivity can have very real consequences for us, such as sitting disease. Sitting disease is a term used to describe the ill-effects of an overly-sedentary lifestyle. Excessive sitting has been linked to a host of health conditions, such as cancer, cardiovascular disease, diabetes, stroke, and cholesterol, as well as to a greater risk of death, compared to those who do not spend that long sitting down. Unfortunately for most of us, it is thought that exercise does not compensate for excessive sitting. This means that, even if we get the recommended amount of physical activity, we can still suffer from sitting-related health issues, if we spend too much time being sedentary. This therefore presents employers and organisations with a difficult challenge, in terms of addressing this issue. Sitting disease has real implications for organisations – it is in the best interests of employers to target physical inactivity in the workplace, as the ill health effects of employees’ excessive sitting can lead to reduced productivity and huge financial costs. Make it fun: inactivity can be tackled in creative and fun ways, which will make employees more likely to engage. Examples include prizes for those who have taken the most steps that week/month or organising special or unusual exercise classes every few weeks. In the workplace, soft skills are just as important as hard skills. Hard skills are the job-specific skills, knowledge, and abilities that one needs to perform a job, such as computer programming or machine operation. Soft skills are more intangible and harder to define or measure than hard skills. So what exactly are soft skills, and why are they so important in the workplace? And what can an organisation do to nurture and develop its workforce’s soft skills? Soft skills are generally the interpersonal or people skills that help employees successfully interact with others in the workplace. Soft skills are less specialised and less rooted in specific vocations, and are more aligned with the general personality of the individual, than hard skills. It is thought that many of the core competencies for soft skills have a foundation in emotional intelligence, which is the learned ability to identify, experience, understand, and express human emotions in healthy and productive ways. Soft skills enable employees to successfully interact and communicate with everyone that they may encounter as part of their role – this includes colleagues, management, supervisees, and customers. And unlike some hard skills, soft skills are transferable skills that can be used regardless of what role a person is in. How can employers develop the soft skills of their employees? Emotional intelligence skills form the base of core competencies that all soft skills are built upon, and because emotional intelligence is a learned ability, soft skills can be developed and nurtured. Employee engagement – where do I start!? The term “employee engagement” appears in leadership and HR literature the world over. It is a topic which comes up in every one of our client conversations, however the term seems to hold a very different meaning from one organisation to the next. A Google search for employee engagement will yield a myriad of definitions, for example UK voluntary movement Engage for Success, defines employee engagement as “a workplace approach resulting in the right conditions for all members of an organisation to give of their best each day, committed to their organisation’s goals and values, motivated to contribute to organisational success, with an enhanced sense of their own well-being.” While other definitions might vary from this, the overarching theme is an emotional connection between an employee and their employer organisation. 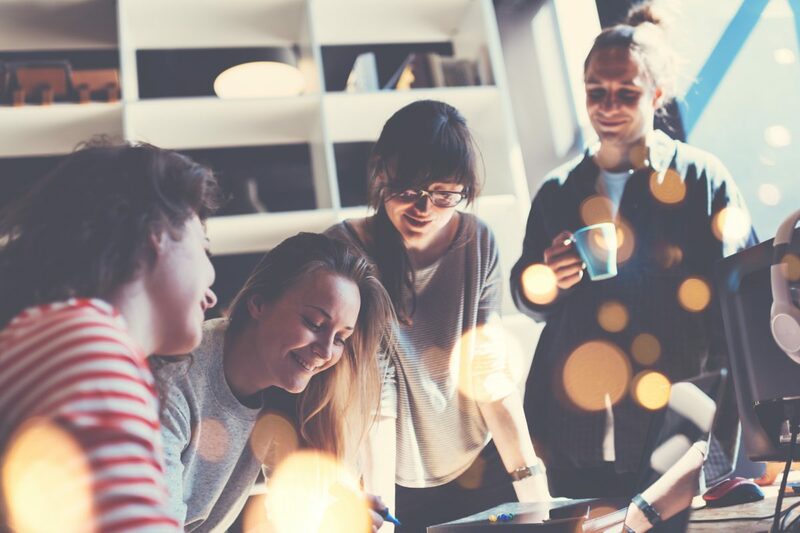 When addressing employee engagement, an organisation should aim to strategically implement sustainable programmes, initiatives and tools which will result in an employee having a sense of purpose and belonging. Something which will challenge the success of even the most holistic engagement strategy, is a lack of definition around company values and purpose. Engagement is intrinsically connected to the values of an organisation, so when considering engagement, the first place an organisation should start is with their own values. : the glue which will keep people invested (long-term) in the overall business mission. With clear values and purpose, tools such as an employee survey can be leveraged to gain insights into the culture and mindset of a workforce. The eNPS (employee net promoter score) will provide a very basic understanding of engagement; how likely your workforce is to recommend your organisation as a place to work. Detailed survey questions assessing; workplace inclusion, wellbeing, communication, recognition and career development will provide a greater understanding of an organisation’s needs. For organisations of all sizes and industries effectively administered surveys will help guide better business decisions. Utilising the feedback, an organisation can determine clear engagement objectives and a strategic approach to boost employee satisfaction. 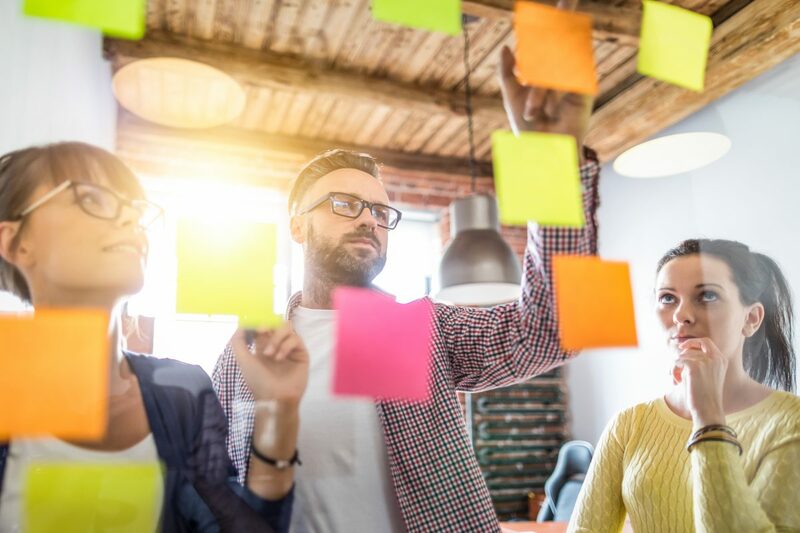 While the prospect of an employee engagement strategy might be daunting at first, with the right building blocks in place the planning process becomes easier and more systematic. 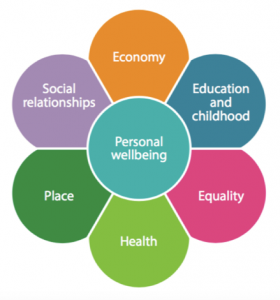 At Wrkit we specialise in the creation of better, healthier working environments using our online suite of data driven employee engagement and retention tools – Surveys, Recognition, Wellbeing (POWR), Learning and Lifestyle Savings. Headquartered in Dublin (Ireland), with offices in London and Boston, we serve local and multi-national companies around the globe. Let our experience guide your next steps, get in touch today info@wrkit.com.